I have a picture research job and recently came across this gem. One always thinks of the formidable Edith Wharton as, well... the formidable Edith Wharton. Edward Harrison May was a British-born artist working in Paris. 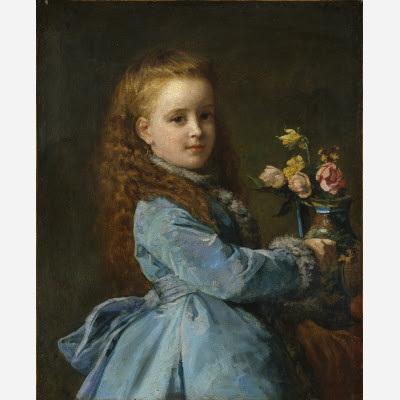 This portrait of the young Edith was painted during a six-year family sojourn in Europe. It just goes to show, we were all young once. love it- how can anyone not notice, despite tender age, the sharp eye, the firmly set mouth? quite something. and she's decorating already. yep, love it.